Today has been a nice day. 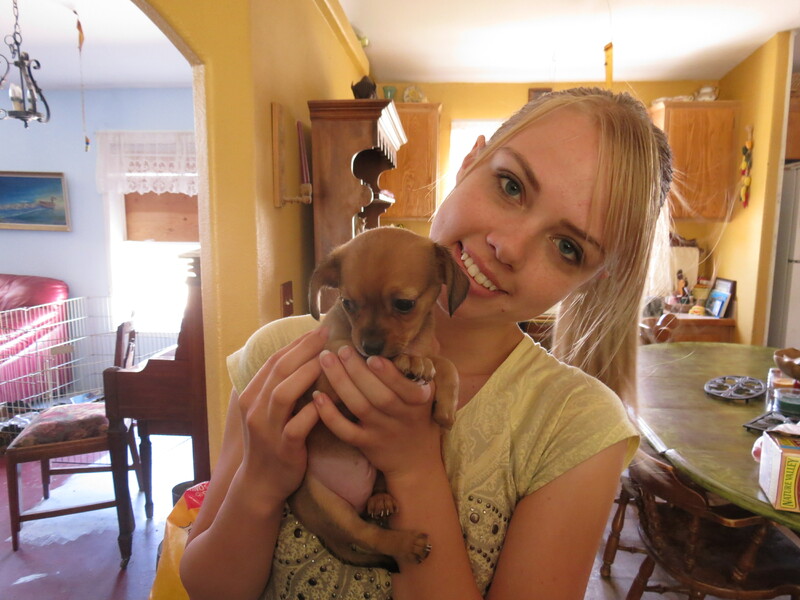 I was given the chance to go up to Beryl Junction, Utah to visit some dear friends. It has been a very long time since I have just sat and visited with them. I did have a purpose to go up there and that is to bring my sisters little dog to her. But for me the best part was seeing the Brinkerhoffs. They have got to be one of the closest families I know. I went up there to get the puppy which is named Gracie. She is a tiny chiwinnie dog. While walking around their property I couldn’t but think about how strong they are in their faith. Their children are awesome and when I think of families like them, they are a great example of a loving home and who puts God first. A few of the kids showed me around outside. Today reminded me of how much I miss living in Veyo. The landscape and openness is indescribable. They also have the cutest pets. I think I could spend a couple days up there and just take pictures and relax. I think if I had a cabin I would go up there for a three day weekend, that would be awesome. Of course I would have my camera ready. They have some cool buildings up there. Some people wouldn’t be interested in living so far out, but they make it work. 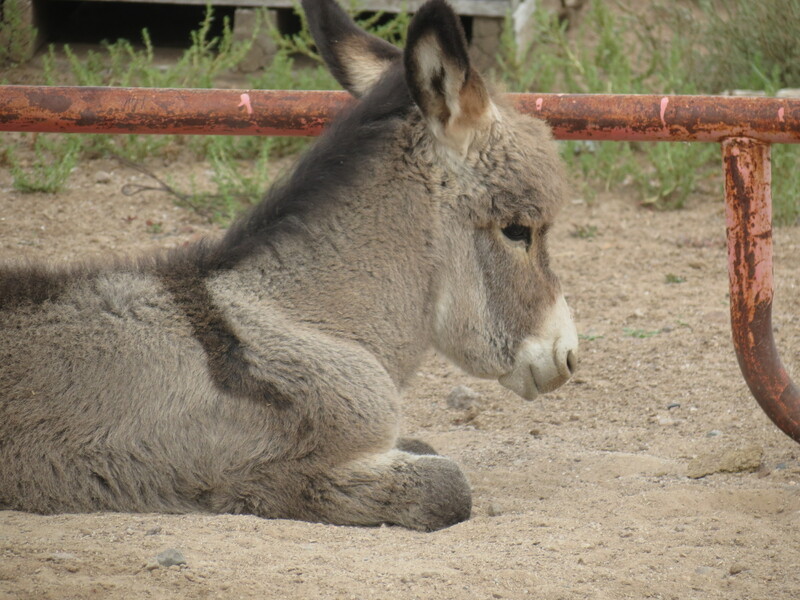 They have three donkeys, one being a newborn and just a few weeks old. I can’t even count how many dogs. They have chickens, geese and ducks. They also have horses, peacocks. birds, small ponies, cats, adult donkeys and a very small baby donkey. I don’t know if they named her yet, but I think they should call her Beatrice. She looks like a Beatrice to me, I think I have it covered. The Brinkerhoffs are richer in so many ways. God has really blessed them. And I feel extremely blessed to call them friends. I did get some pictures while I was there, but it was getting ready to storm. The smell of rain was awesome and after the rain a huge rainbow appeared. For me it symbolized God’s presence. I know that rainbows is a sign that God said he wouldn’t flood the entire world again. When I think of them, I think of how much God loves us and how He is protecting us and is protecting us. Rosemary made some awesome rolls. I’m thinking I should have taken some to go. It has been years since I had rolls. I may have to find a good recipe for them. I would like to make some. Eric made some kind of soup and it was awesome. I don’t know what he calls it, but I think it should be called kitchen sink soup. He threw a bit of this and that in the pot and wahla. They also camp grounds about 40 miles from where they live. They let churches us it if they want to. I think I might see if maybe next summer we can do a retreat at their campground. I believe it has a few cabins and all the things needed. There would only be one issue for me. I don’t like bugs so I don’t camp. That would be awesome to do for the 4th of July. Since it is so hot in July, it would be a great place to celebrate the 4th at. Maybe even have Pastor Ray could bring his guitar and we can do campfire songs. Now my brain is reeling on this idea. This is Sarah. She is at boot camp for the Marines… Impressed. And thank you Sarah for serving our country and for serving God. We got on the conversation of their daughter Sarah. 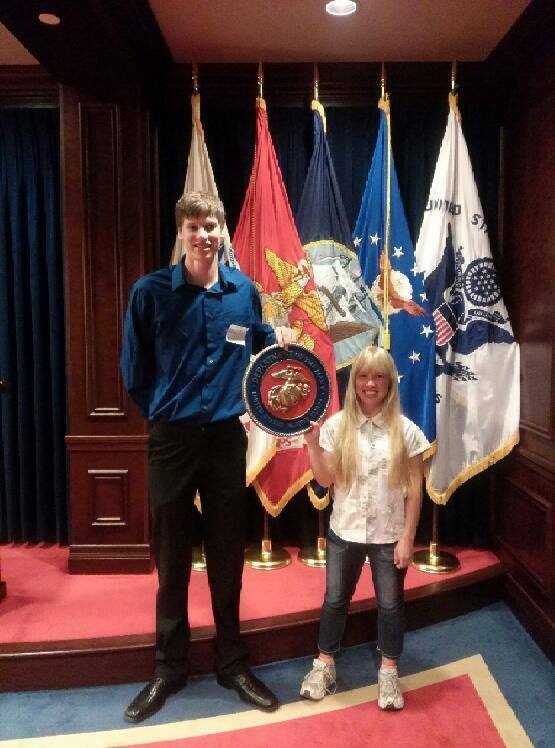 Sarah is 4″ 11 ” and joined the Marines. I will include a picture of what she looks like. Sarah is tough girl and she sounds like she is doing good. 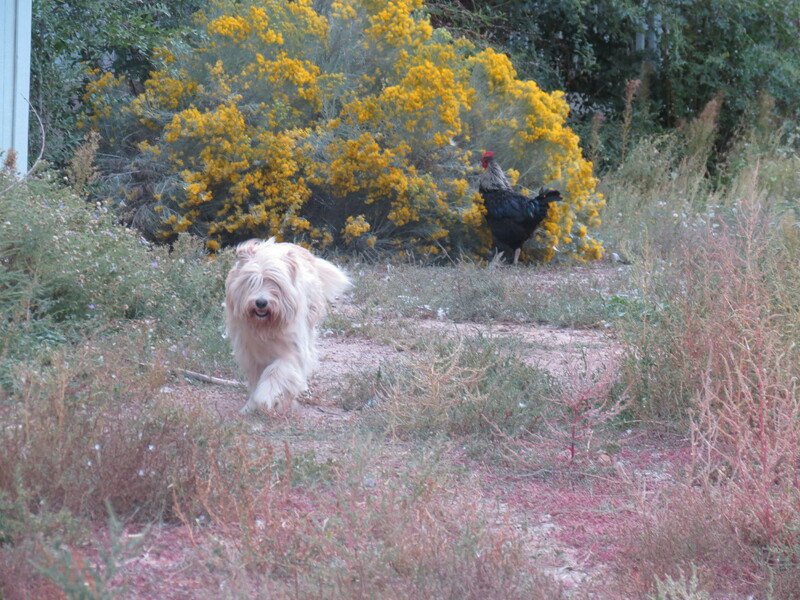 But all in all it was a nice day and I think I need to visit them much more often and have them over for dinner. The Brinkerhoffs are the most down to earth and genuine people I have been blessed to have as friends. Today was also nice because they are the kind of friends that aren’t afraid to be themselves. They have a huge heart for helping people. We got talking about faith and I love doing that. Jesus is my favorite topics. Basically we were talking about how as Christians we should be acting that way. We also know that Jesus is the only way to heaven. Most of all, it was awesome to be able to catch up and visit with them. I hope we don’t take too long to just hang out. I wish they were closer to visit. They remind me of how I was raised. I would have to say that they are the living example of being in this world, but not of it. P.S. They have a greenhouse and it was a special treat to have fresh tomatoes and veggies. I was sent home with some green tomatoes and I so can’t wait to cook them up. Tomatoes from the garden and not hot houses have a wonderful smell and flavor.